Ahead of the second edition of their Big Billion Day Sales extravaganza, Flipkart has received a major jolt to their advertising campaign. The Advertising Standards Council of India (ASCI) has taken severe note of the misleading advertisements launched by Flipkart and 81 other companies, and have termed them misleading and false. Besides Flipkart, ASCI has rapped Snapdeal, Uber, Vodafone India, Heinz India, L’oreal India, Pernod Ricard India, and Amity University among others for gross violation of the code of conduct created by ASCI. For the month of June, ASCI had received 148 complaints against advertisers, out of which they have upheld total of 82 cases. 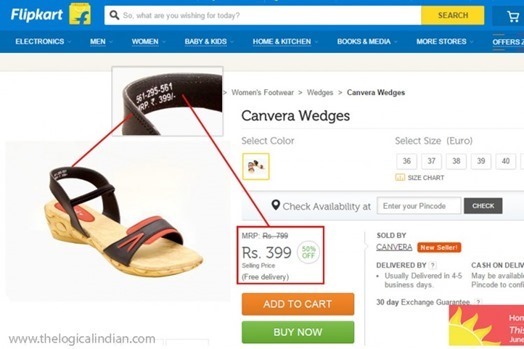 In the case of Flipkart, ASCI observed one particular ad where they inflated the price of the product, and then offered the same under discount. The MRP of the product was Rs 449, which was swelled to Rs 999 before offering a discount for customers. While ASCI may have found one instance, this is a very common practice among all ecommerce sites. If you search Google, you will find hundreds of such examples that people have come across. Here is an example that came out a few days back, where the MRP of a wedge sandal was 399, and it was showed as Rs. 799 and then was given 50 discount! As per the rule, in India, no company can sell any product beyond the MRP. As per ASCI, this is severe violation of the ethics and guidelines of the council. In one of the advertisements, Snapdeal is showing a man riding a bike without helmet; which triggers unsafe and illegal practice of driving a vehicle. 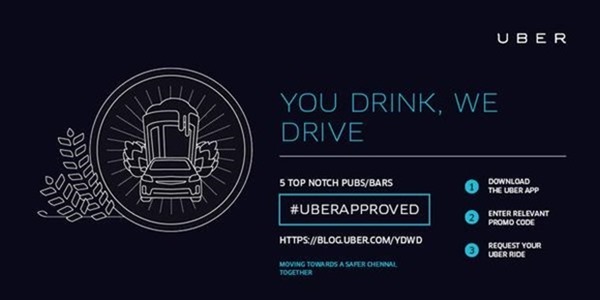 Few months back, Uber had launched a campaign titled: ‘You Drink We Drive’; which had showcased various brands of pubs and bars and had them categorized as ‘#UBERAPPROVED PARTNERS’. As per ASCI, this campaign promoted drinking and alcohol, which is not allowed as per their guidelines. In one of the ads, L’oreal India promoted ‘New Garnier Action Facewash’ and ‘Garnier Pure Active Neem+ Tulsi High Foaming Facewash’ with assured promises of healthy and glowing skin, which was shown without any substantial proof or evidence. They promoted cosmetic surgeries, without any disclaimer of the health hazards; and also included a ‘limited time’ offer, which can induce people with less resistance to such surgeries, and risk their lives. This goes in line with ASCI’s tough stand on health and beauty ads, as they had earlier taken a tough stand on fairness products and their unethical mode of advertising their products. ASCI has already said that healthcare and education ads are the most deceptive. Vodafone too has been asked to take down their advertisements, wherein they are promoting ‘uninterrupted voice calls on 3G Network’; which again has no substantial proof. We had reported few days back that ASCI has rapped Airtel for their misleading 4G ads. Idea’s IIN ads were also under ASCI scanner earlier. In case you feel that any advertisement by any company is misleading, misinterpreting the facts, and have out of the world claims, then don’t hesitate to file a complaint directly with ASCI. "ASCI Raps Flipkart, Snapdeal, Uber & 79 Others For Grossly Misleading Ads", 1 out of 5 based on 5 ratings. Reliance Jio May Bring Ultra-Cheap LTE Mobile Hotspot Devices to Aggressively Push 4G Services!